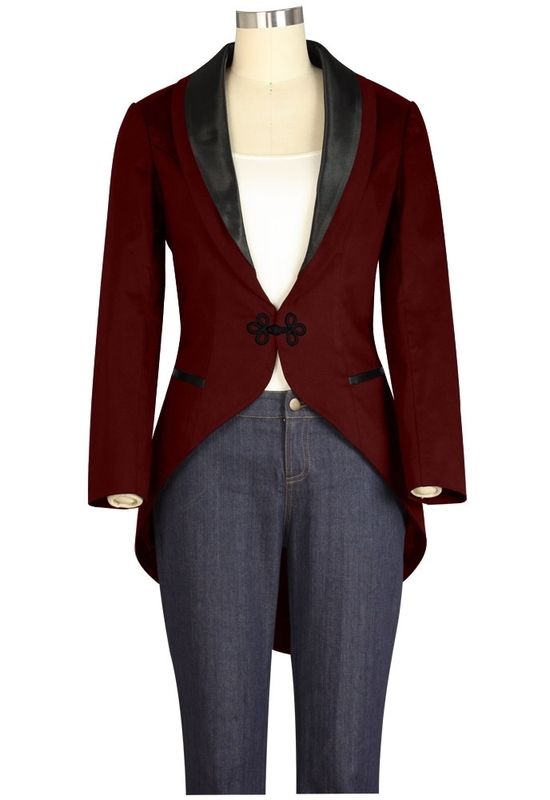 This jacket features a satin lined collar, frog clasps on the front and back, decorative buttons on the cuffs and pleated split tail in the back. Fully lined. Standard size approx. length: 34 inches; Plus size approx. length: 37 inches.